It is not until recently that the beauty and skin care industry has invested into people with black skin, darker skin and cater to products for Asian, Hispanic/Latino, African, Native American, Middle-Eastern, and mixtures thereof. It is known throughout the field of Dermatology that different skin types have their own special requirements for diagnosis and treatment. 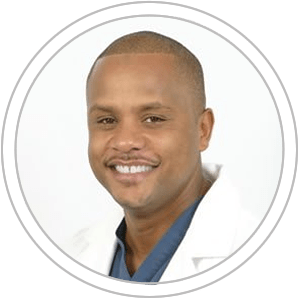 However, as dermatologists, we realize that people with black skin have a unique set of skin concerns because of genetics and cultural practice, and thus require different treatments as opposed to patients with much lighter skin. Ask Dr. Jones about your skin condition today! Dermatosis papulosa nigra (DPN) is a benign cutaneous condition common among blacks. It is usually characterized by multiple, small, hyperpigmented, asymptomatic papules on the face of adult blacks. DPN ‘s usually develops on darker skin as multiple small black and brown papules. While it mostly affects African Americans, dark-skinned Asians and Polynesians are also at risk. Send in your case for Dr. Jones to review! 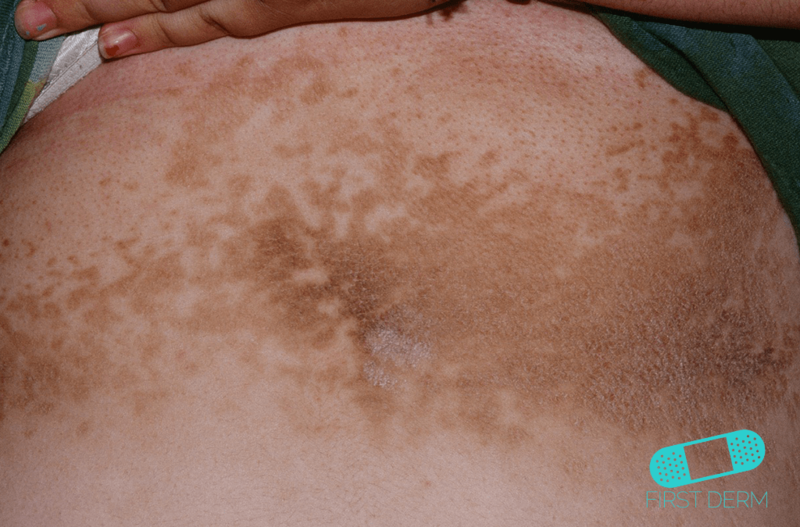 Acanthosis nigricans is a skin disorder characterised by darkening (hyperpigmentation) and thickening (hyperkeratosis) of the skin, occurring mainly in the folds of the skin in the armpit (axilla), groin and back of the neck. 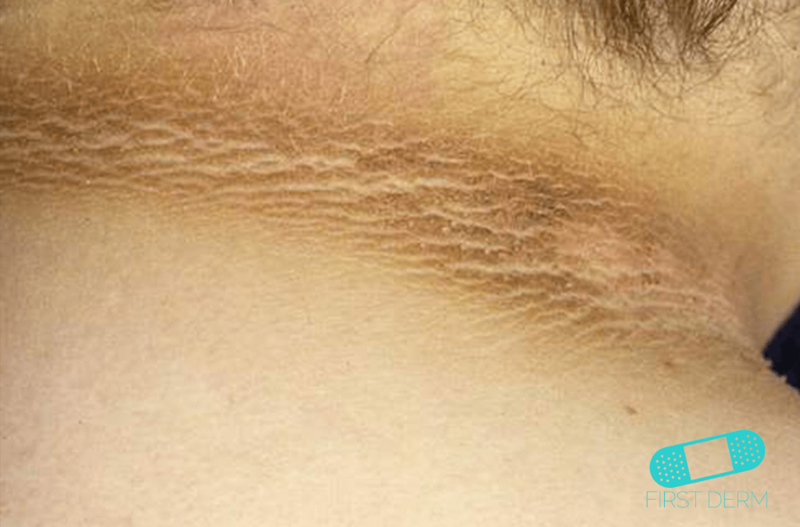 Thickened brown velvety textured patches of skin that may occur in any location but most commonly appear in the folds of the skin in the armpit, groin and back of the neck. While they appear mostly in people who are obese or with diabetes, darker skin is also a risk factor. 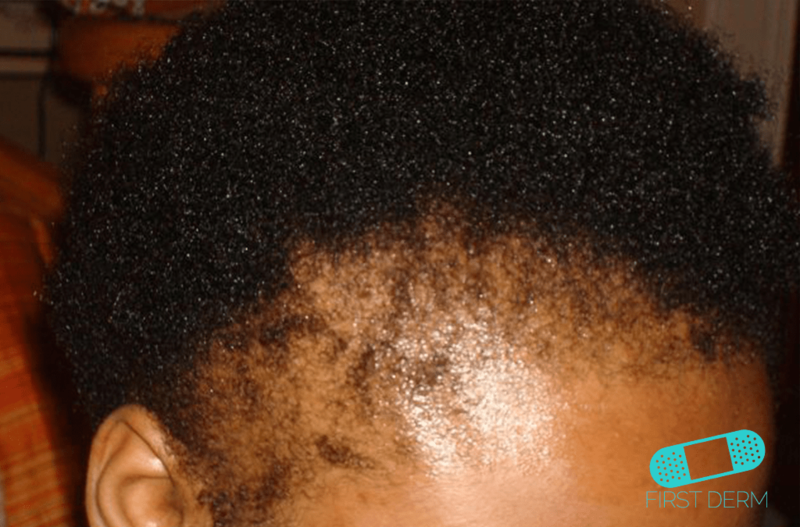 Traction alopecia is a form of acquired hair loss that results from prolonged or repetitive tension on the scalp hair. It was first described in 1907 in subjects from Greenland who had developed hair loss along the hairline due to prolonged wearing of tight ponytails. Alopecia due to traction can be caused by regularly wearing tight chignon, cornrows, dreadlocks, weaves and braids. Also using hair extensions, chemical relaxers, and rollers. Acne Keloidalis Nuchae (AKN) is an unusual form of folliculitis (inflammation of hair follicle unit) and cicatrical alopecia (scarring hair loss) that affects the nape of the neck. The condition may persist for many years. AKN is more common in dark-skinned people than in whites, and most often affects adult Afro-Caribbean males with black curly hair. It is 20 times more common in males than in females. Pseudofolliculitis barbae is a foreign-body inflammatory reaction surrounding ingrown facial hairs, which results from shaving. It can also occur on any body site where hair is shaved or plucked, including axilla, pubic area, and legs. It is also known as shaving rash or razor bumps. Prevalence of folliculitis barbae and pseudofolliculitis barbae is higher among males of African ancestry than among Caucasian men. Both disorders can also affect women of all races. They are associated with improper shaving practices. Are razor bumps bothering you? Ask Dr. Jones about treatment options. 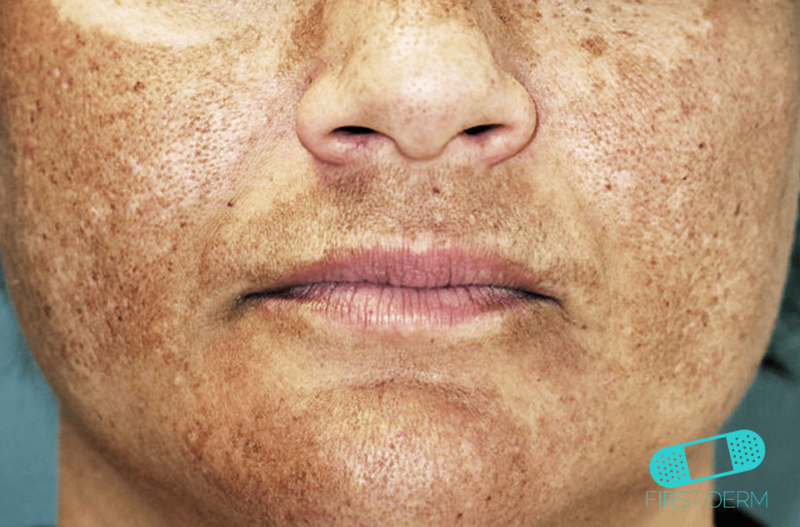 Postinflammatory hyperpigmentation is temporary pigmentation that follows injury (e.g. thermal burn) or inflammatory disorder of the skin (e.g. dermatitis, infection). It is mostly observed in darker skin types. 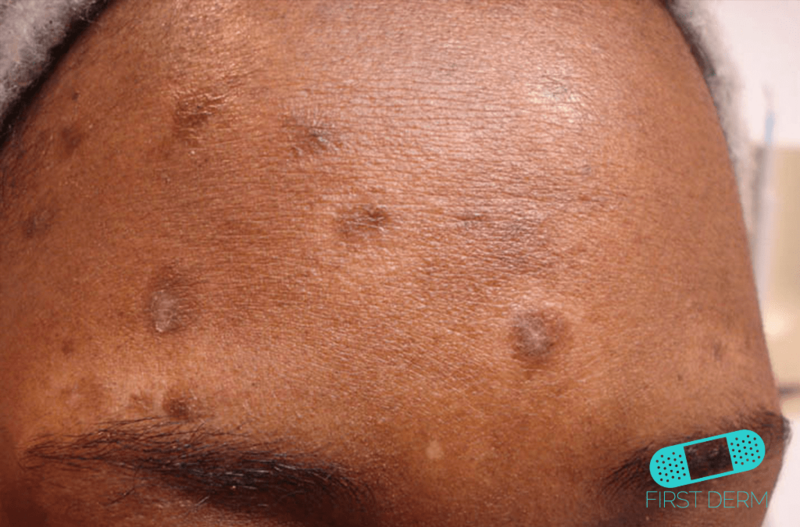 Postinflammatory hyperpigmentation can occur in anyone, but is more common in darker-skinned individuals, in whom the colour tends to be more intense and persist for a longer period than in lighter skin colours. Confluent and Reticulated Papillomatosis (CRP) is a rare condition of the skin characterized by chronic scaling, brown patches and plaques that affect the neck and upper trunk. No risk factors for Confluent and Reticulated Papillomatosis have been identified. The condition is mostly seen in older children, teens, and young adults. The exact cause of this condition is also unknown.  However, several potential causes, such as hormonal imbalance and bacterial infections, have been proposed to explain Confluent and Reticulated Papillomatosis. The prognosis of the disorder is good, with appropriate topical and/or antimicrobial treatment. 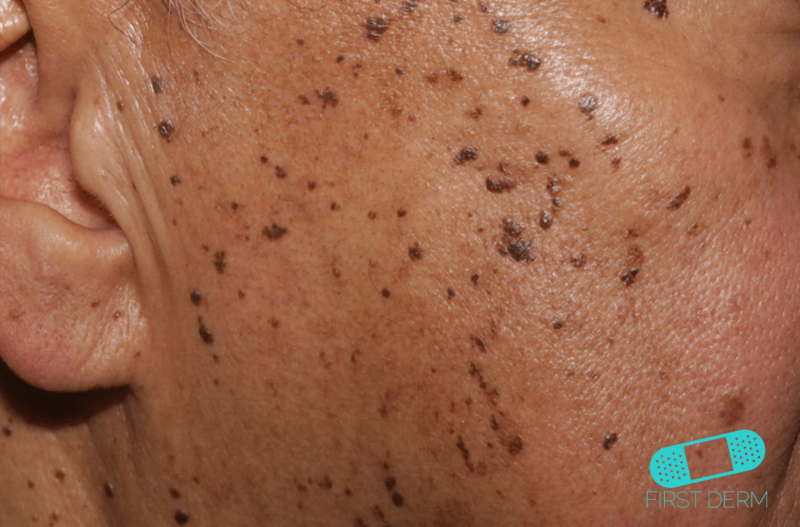 Melasma is a chronic skin disorder that results in symmetrical, blotchy, brownish facial pigmentation. It can lead to considerable embarrassment and distress. Melasma is more common in women than in men; only 1-in-4 to 1-in-20 affected individuals are male, depending on the population studied. It generally starts between the age of 20 and 40 years, but it can begin in childhood or not until middle age. Melasma is more common in people that tan well or have naturally brown skin compared with those who have fair skin or black skin. 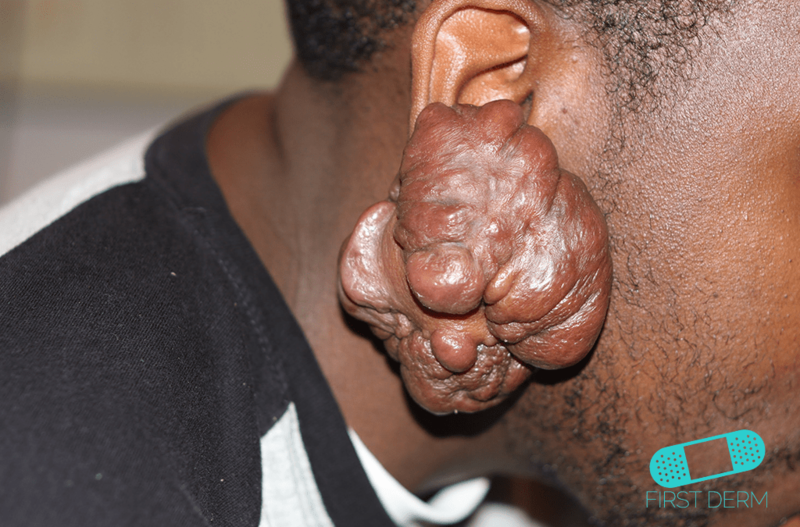 Keloid scars are firm, smooth, hard growths due to spontaneous scar formation. They can arise soon after an injury, or develop months later. Keloids may be uncomfortable or itchy, and may be much larger than the original wound. 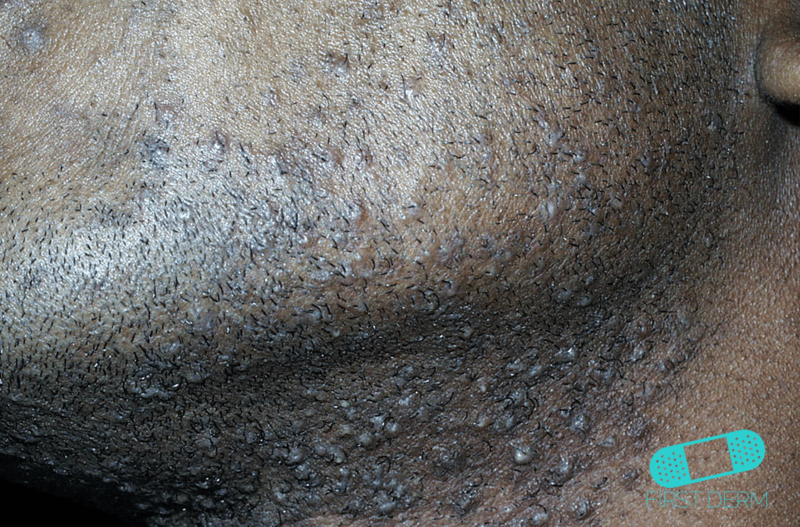 Keloids may form on any part of the body, although the upper chest and shoulders are especially prone to them.The precise reason that wound healing sometimes leads to keloid unclear.While most people never form keloids, others develop them after minor injuries, burns, insect bites and acne spots. They are most common in black skin and Asian skin. Vitiligo is an acquired depigmenting disorder of the skin, in which pigment cells (melanocytes) are lost. It presents with well-defined milky-white patches of skin (leukoderma). 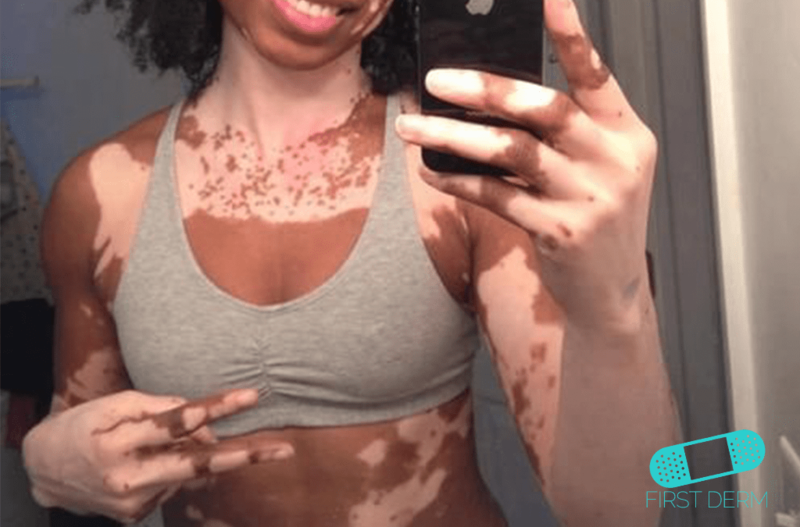 Vitiligo can be cosmetically very disabling, particularly in people with dark skin. The disorder affects all races and both sexes equally. However, it is more noticeable in people with darker skin.